Listen to Dr Mark Dybul speak with Radio National at the abc during his recent visit to Australia. The UK has pledged to save “a life every three minutes” with a major new aid commitment to fight some of the world’s most devastating preventable diseases. More than £1bn will be spent over the next three years on global health initiatives, through the flagship Global Fund to Fight AIDS, TB and Malaria. The pledge doubles the Government’s current commitment to the fund, and makes the UK the second biggest donor after the USA. The Global Fund, set up in 2002, is already estimated to have saved 8.7 million lives, with 5.3 million people now receiving antiretroviral therapy to treat HIV; 11 million new TB cases detected and treated and 340 million insecticide treated nets distributed to protect families from malaria. Over the next three years, the UK will deliver lifesaving antiretroviral treatment to an additional 750,000 living with HIV, 32 million more insecticide-treated mosquito nets to prevent transmission of malaria, and TB treatment for more than a million people. The Department for International Development estimates that the UK’s new funding commitment will save 590,400 lives between 2014 and 2016 – or one every three minutes. Microsoft founder Bill Gates, whose philanthropic foundation was instrumental in setting up the Fund, said that other donors should “follow the example of the UK”. The Global Fund is the world’s biggest financer of programmes to prevent, treat and care for people with HIV/AIDS, TB and malaria. The UK was a founding donor, and committed £1bn from 2008 to 2015, a grant which the new funding commitment renews. The fund accounts for accounts for 21 per cent of all international funding for HIV/AIDS, 82 per cent of international TB funding, and 50 per cent of the global malaria spend. It has approved over $23 billion for over 1,000 grants in more than 150 countries. Projects financed by the Global Fund have contributed to a marked decline in HIV infection rates and AIDS-related deaths in recent years. The World Health Organisation (WHO) estimates that the annual number of people dying from AIDS-related causes worldwide is steadily decreasing from a peak of 2.3 million in 2005 to an estimated 1.7 million [1.5–1.9 million] in 2011. Significant progress has also been made in the prevention of malaria. The WHO’s World Malaria Report for 2012 reported that 50 countries were on track to reduce malaria incidence by 75 per cent between 2000 and 2015. The spread of TB, the world’s second biggest infectious killer after HIV/AIDS, is declining, but only slowly. Global Fund financing has supported detection and treatment of 11 million smear-positive cases of TB, up from 9.7 million at the end of 2012. As of 1 July, 5.3 million people living with HIV are receiving antiretroviral therapy under programs supported by the Global Fund, up from 4.2 million at the end of 2012. Meanwhile, 30 million insecticide-treated nets were distributed in the first half of 2013 under programs supported by the Global Fund, taking the total number of nets distributed to 340 million. As I flew out from Stockholm to Denver last Wednesday it occurred to me how far we had come in HIV Cure research since the International AIDS Society held the first HIV Cure workshop at the AIDS 2010 conference in Vienna. I’ve been in Stockholm this week speaking on how a group of cancer drugs called HDAC inhibitors can activate latent HIV at an HIV Cure conference organised by the Karolinska Institutet and all of us who attended have come away feeling energised and encouraged. All the portents were there – brilliant sunshine in über sophisticated and eco-friendly Stockholm all week and a venue steeped in history and tradition. The conference was held in the Nobel Forum where the recipients of the Nobel Prize in Medicine give their talk each year – it was a privilege to speak there this week and inspiring at the same time. The Karolinska Institutet has of course, been a major leader in the HIV response from the very early days of the epidemic. Yet it is also fair to say that until very recently the organisation had not considered HIV cure as a research priority. This week’s meeting was arranged to generate interest in the field and to move it higher up the organisation’s agenda. I think the fact that, Anders Hamsten, President of the Karolinska Institutet, addressed the meeting was certainly a good sign. So too was the program which was notable for its very impressive line up of speakers from the US and Europe including Steve Deeks, David Margolis, Bob Siliciano, and Christine Rouzioux. Nice too to see my Australian colleague Sarah Palmer presenting. I’m proud that Australia is playing a significant part in the search for an HIV Cure. The meeting was very animated with lots of discussion and at times controversial! Bob Siliciano suggested that HDAC inhibitors might not activate “real” virus or enough virus to eventually lead to a cure! That got people talking as you can imagine. I was also greatly encouraged by the fact that the media were present at the event -I feel passionately that we scientists need to be constantly informing the public in a measured way what it is we are attempting to do and the challenges we face. While these are undoubtedly exciting times we should never lose sight that the search for an HIV Cure is indeed a long haul and will require a great innovation, sustained level of funding and political commitment. Denver was a total contrast to Stockholm – grey, drizzly and missing that Swedish style- but I digress. The annual Interscience Conference on Antimicrobial Agents and Chemotherapy (ICACC) always attracts a broad attendance of infectious diseases specialists and I believe it is a sign of the times that a session devoted to an update on antiretroviral therapy was so prominent in its program. I gave an overview of HIV Cure research – where we’ve been and we’re headed – and though this is certainly not the first time I’ve delivered such a talk, it is nevertheless emboldening that each time I prepare this particular presentation I can add an extra piece to the HIV Cure puzzle. In Denver my PowerPoint included the results of the Boston Patients, first delivered at the recent International AIDS Society conference in Kuala Lumpur. An update on one of the CCR5 gene therapy studies done in collaboration with Sangamo was presented here in Denver but this time the participants had a natural partial mutation to CCR5. The study showed that 2 of 6 participants who received CCR5 gene therapy controlled their virus off ART to low levels so we might be looking at two further cases of functional cure! Although it is still early days. Full results of these studies are expected by around the end of 2013. It is now back to Australia for me to put the finishing touches on the planning of some preparatory meetings in Sydney in October for next year’s AIDS 2014 conference in Melbourne. I look forward to seeing colleagues and in particular my International Co-Chair Françoise Barré-Sinoussi. Preparations for the conference are moving ahead smoothly and the event is already generating a lot of excitement amongst our stakeholders. Stay tuned for some major announcements on World AIDS Day! GENEVA – The Global Fund to Fight AIDS, Tuberculosis and Malaria strongly welcomed a pledge of US$750 million by Nordic countries, a highly significant contribution to defeating these three infectious diseases. The announcement was made in Stockholm on 4 September in a joint statement by Sweden, Norway, Finland, Denmark, Iceland and the United States, and coincided with meetings by their leaders with President Barack Obama, hosted by Sweden. Collectively, the pledge represents over $150 million in increased funds from the Nordic countries. The statement specified that the contribution would unlock an additional US$375 million from the U.S., signaling the leverage of every pledge. 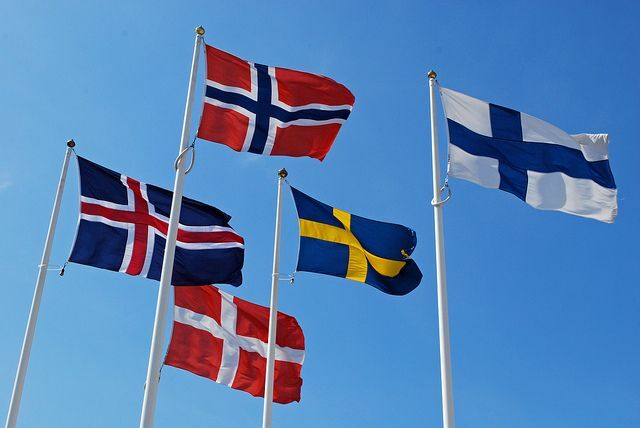 Nordic countries have been strong supporters of the Global Fund since its inception in 2002. The statement also commended recent reforms and results achieved by the Global Fund. “These historic multilateral investments will work to turn the tide against these three devastating diseases,” the announcement also said.